The below post seems to be quite a long winded way to do a simple WMI filter. This is the way I would do it. 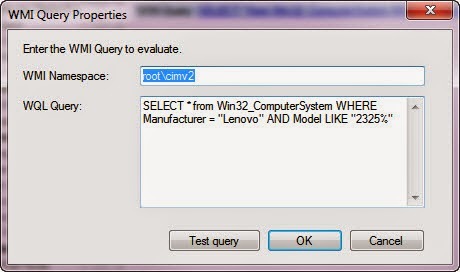 How to detect Lenovo models and drivers with Task Sequences | Laurie Rhodes' Info: "d each driver injection is conditional to only run with known Machine Types."